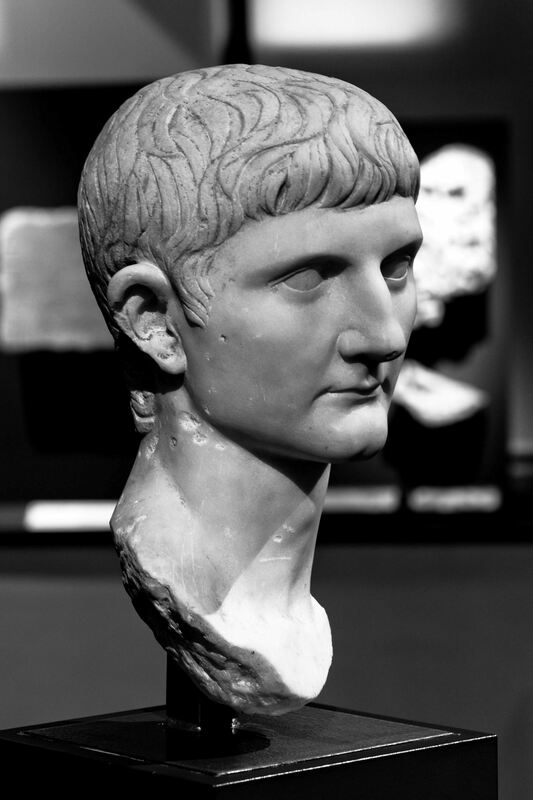 Germanicus Julius Caesar was heir-designate of the Roman Empire under Tiberius and a prominent general known for his campaigns in Germania. He was born at Rome into a prominent branch of the patrician gens Claudia, to Nero Claudius Drusus and his wife Antonia Minor. He became famous and beloved when he commanded eight legions against the Germans and avenged the defeat of the Battle of Teutoburg Forest, and retrieved two of the three legionary eagles that had been lost during the battle. He died in Antioch in AD 19, possibly from being poisoned. His son Caligula would grow up to become one of Rome's most infamous rulers.